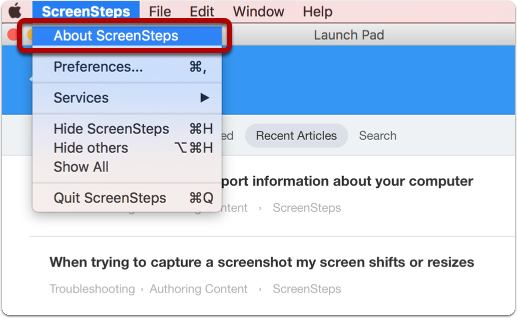 When trying to troubleshoot issues with the ScreenSteps desktop application you may be asked to send technical support information about your system. 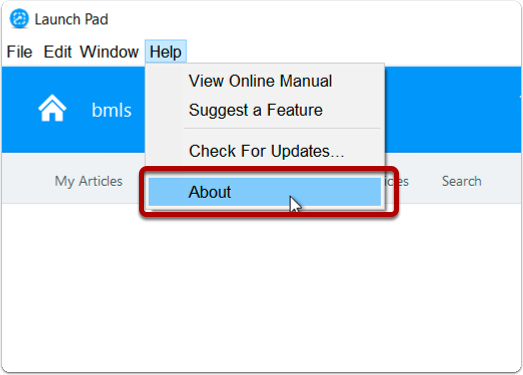 These instructions will show you how to copy information about your computer system to the system clipboard so that you can paste the information into a response to technical support. 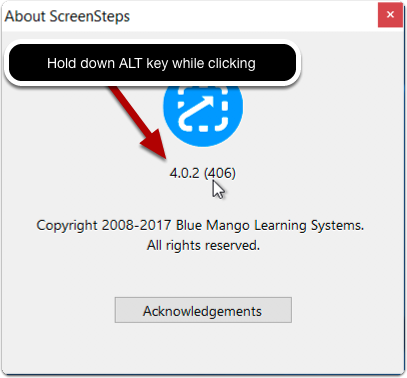 While holding down the ALT key, click on the version number in the About window. This may take a minute or two while the system information is gathered. A beep will indicate that information about your computer system has been copied to the clipboard. 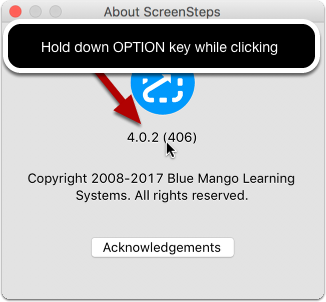 While holding down the OPTION key, click on the version number in the About window. You will hear a beep which indicates that information about your computer system has been copied to the clipboard.